SYN Shop, the Las Vegas Hackerspace located in Henderson, is a creative space designed for project collaboration, research and development, mentoring, and of course, learning. On Saturday, April 2, 2016 at 2:00pm SYN Shop invites the community to come recreate the glorious fail that is HEBOCON. SYN Shop invites community members to come by and build a robot with as little technology, skill, or forethought as possible, and battle it against other similarly crappy robots. Registration for robots opens at 1:15pm and runs until 2:15pm. The event will be a double elimination tournament. There will be 3 awards by points, 1 special mention awarded by judges, and an award for audience favorite. 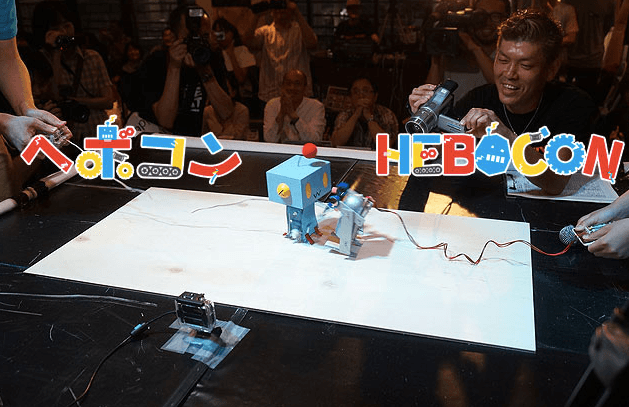 The robot with the most points at the end of the competition wins. More official rules here.